Specialty Applications. 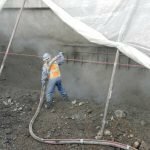 Shotcrete and Slab Jacking. Champion’s SCHWING Line Pumps are a cost effective, no nonsense, way to place concrete in areas ready-mix trucks can’t navigate. They efficiently place concrete hundreds of feet around obstructions, inside existing structures or buildings, with low overhead clearance. Line pumps place 3/8 inch to 1.5 inch rock, allowing flexibility in selecting the concrete mix best suited for your project. The old standby of the “wheel barrow and bucket brigade,” is replaced by the common sense approach of delivering the concrete to the form via line pump and hoseman*. *Hoseman fees are not always included in line pump fees. 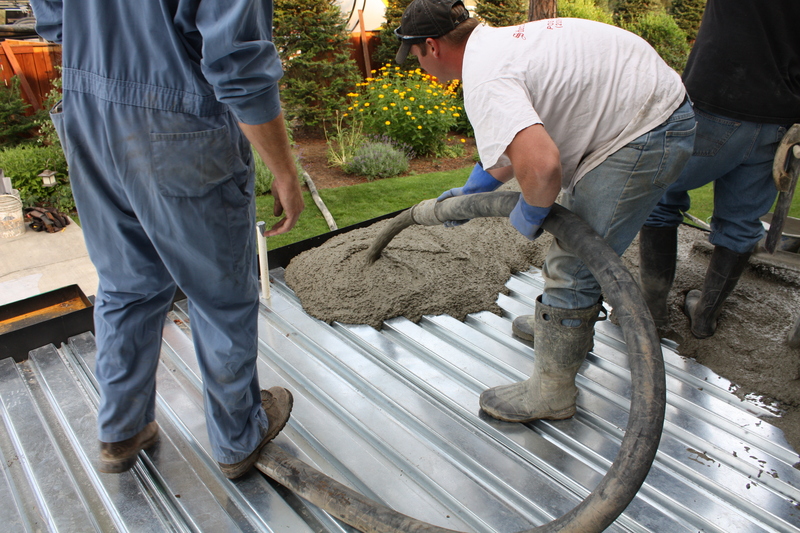 Specialty applications for our line pumps include shotcrete for bank stabilization, existing wall/foundation repair, swimming pools and water features, as well as slab jacking sinking or cracked concrete and void fills. We are happy to assist you in whatever challenge or vision your project entails! CHAMPION CONCRETE PUMPING, INC. is a SCHWING Small Line Pump Dealer. We provide sales and service of Schwing Line Pumps. Our professional mechanics also service other small line brands; call for help with your small line pump needs! Yards of concrete to be pumped, mix design, truck spacing, feet of line needed, type of pour: slab, wall, footing, specialty, residential or commercial, number of pours anticipated, job location/address and directions, road conditions (narrow, rocky, muddy) wash out area availability, contact name and number, billing information/credit app.